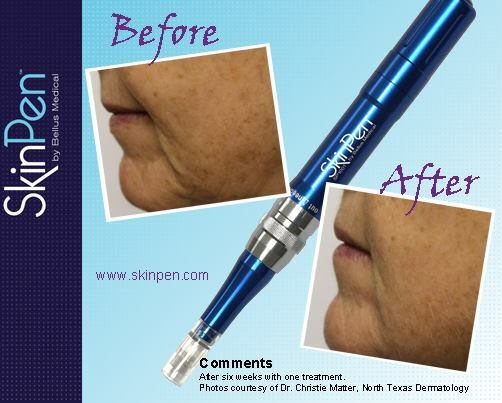 SkinPen by Bellus Medical is a medical device used to reverse years of sun damage, improve the appearance of acne scars, large pores, stretch-marks, hyperpigmentation, fine lines and wrinkles as well as enhance the overall appearance of aging skin instantly, with no downtime. 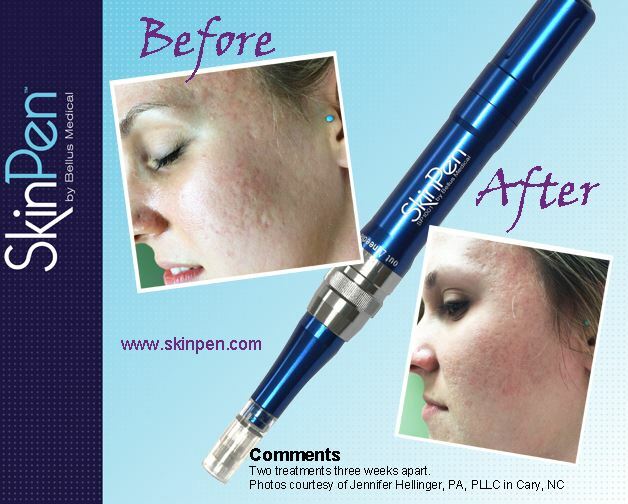 Extremely versatile; SkinPen can be used on all parts of the body: face, neck, chest, arms, hands, legs, abdomen and back – perfect for addressing acne scars on the back & stretch marks on the body. 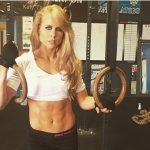 The procedure typically takes 15 – 30 minutes depending on the size of the area treated, number of areas and the severity of damage on the skin. After one treatment, patients see marked improvement in scars, wrinkles, skin discoloration, stretch marks, or large pores. 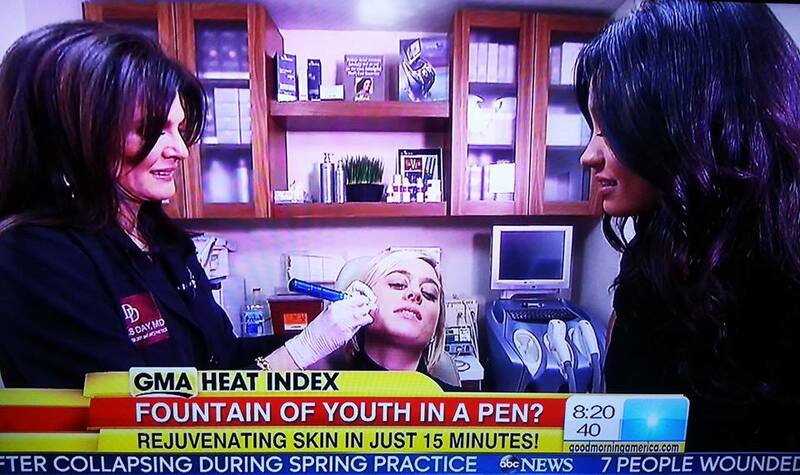 Significant results are visible in seconds with no downtime – instantly rebuilding the skin’s elasticity and reduce the size of pores. 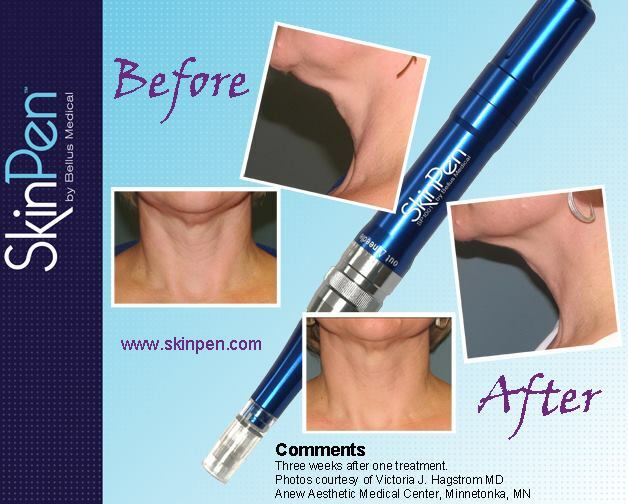 This treatment triggers new collagen synthesis without causing scar tissue formation and also allows for deep temporary penetration of topicals normally not absorbed by the skin; making SkinPen an effective treatment not only for scar revision and skin revitalization, but also enhances the benefits of additional topical therapies. 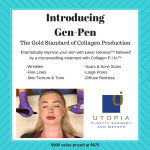 To find out more about the SkinPen and how it could benefit you – please give us a call 713.622.2277 to schedule your consultation and complimentary skincare analysis at Utopia MedSpa located in Uptown Park – Houston, Texas. 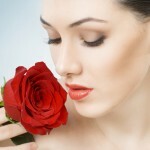 * Offer applies only to areas of the face.